Book Marketing around the world » An Ordinary Man:Who Tries! 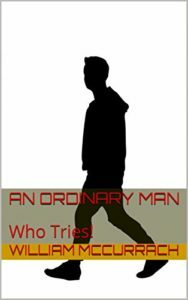 Home » » An Ordinary Man:Who Tries! Follow a man’s life from birth, thru a rough childhood and teenage years, through years of service, loves and children. Through wrongs, followed by legal battles, recovery, cancer and supporting a cancer victim.